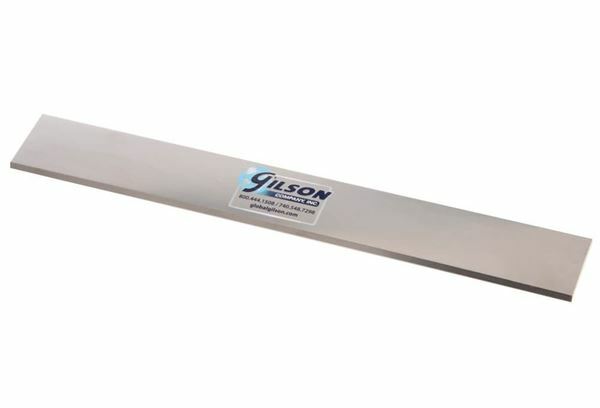 Stainless Steel Straight Edges - Gilson Co.
Straightedges from Gilson are quality 304 stainless steel and used in many ASTM and AASHTO soil test methods for trimming and leveling specimens. 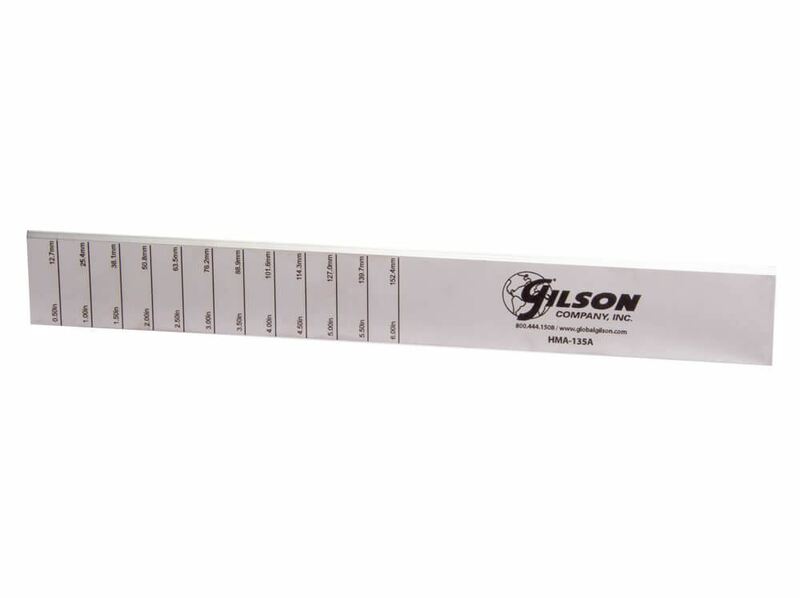 Dimensions are 11.81 x 1.57 x 0.125in (300 x 40 x 3.2mm), L x W x D.
HMA-135 Stainless Steel Straightedge with electro-polished finish will not corrode and the precision-ground beveled edge remains straight and true after many uses. Model has no markings. HMA-135A Stainless Steel Straightedge with Graduations features laser engraved graduations at 0.5in intervals from 0 to 6in (0 to 152.4mm) for convenient measurement of approximate lift depths, mold dimensions and other references. Graduations are marked with inch and millimeter equivalents.